England continue their World Cup preparations when they take on Costa Rica at Elland Road on Thursday night and we should see plenty of Manchester United faces during the game. We have four players representing England in Russia this summer with Phil Jones, Ashley Young, Marcus Rashford and Jesse Lingard all making Gareth Southgate’s 23-man squad. The Three Lions beat Nigeria 2-1 at Wembley last weekend with Young continuing his solid form for United with another decent shift in the left wing-back position for his country. Lingard put in a busy performance in the middle of the park while Rashford made a late 15 minute cameo so the United boys will be hoping for more game-time against Costa Rica. Southgate has confirmed he will rotate his squad for England’s final warm-up game before the squad flies out to Russia ahead of the World Cup opener against Tunisia. I expect we’ll see Rashford come in to start up front and the United forward will be desperate to impress but he faces a tough time forcing his way in to Southgate’s starting eleven as Harry Kane is a dead-cert to start in Russia. Lingard will most likely make-way in attack while Young could also drop to the bench with Danny Rose likely to be recalled on the left side. Southgate has also confirmed that Jack Butland will get a chance to impress in between the sticks while Trent Alexander-Arnold will start on the right. I also think we’ll see Jones come in against Costa Rica to stake his claim for a starting spot in defence but the defender – who’s future at United is uncertain – faces competition from Harry Maguire, John Stones and Gary Cahill. A quick look at the England vs Costa Rica betting odds shows us that England are the heavy 7/20 favourites to win the game with the visitors a distant 15/2 outsiders. I think the hosts will win the game but we need to find more value to make it worthwhile. We should see a few goals so over 2.5 goals at odds of 21/20 looks a solid bet while I like the look of England 2-0 at 5/1. If Rashford does start I have to back him to score first at 4/1. 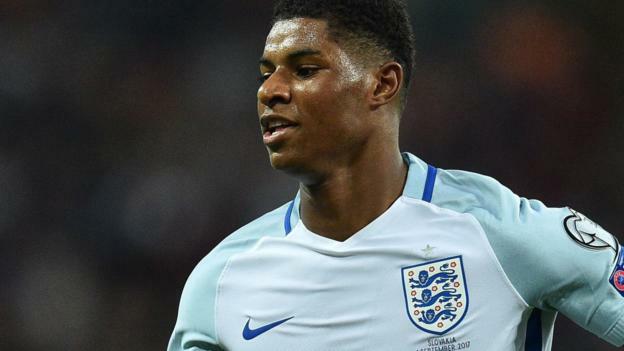 For those who want even more tempting odds, then my outside bet is Rashford to score first in a 2-0 England win which can be found at odds of 13/1 at leading bookmakers.